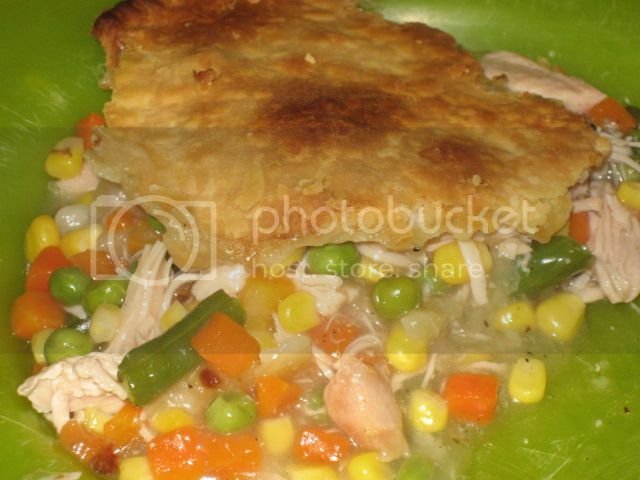 This is an extremely easy meal to make and the smoked turkey can be substituted with chicken, regular turkey or beef. 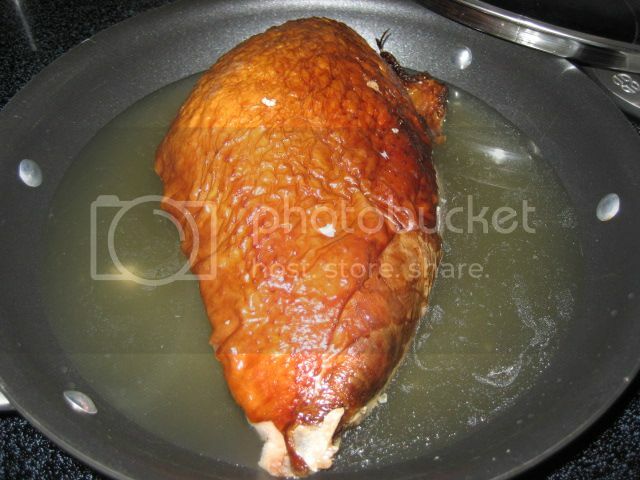 I had a half of a deboned smoked turkey breast I smoked a couple weeks ago sitting in the freezer. 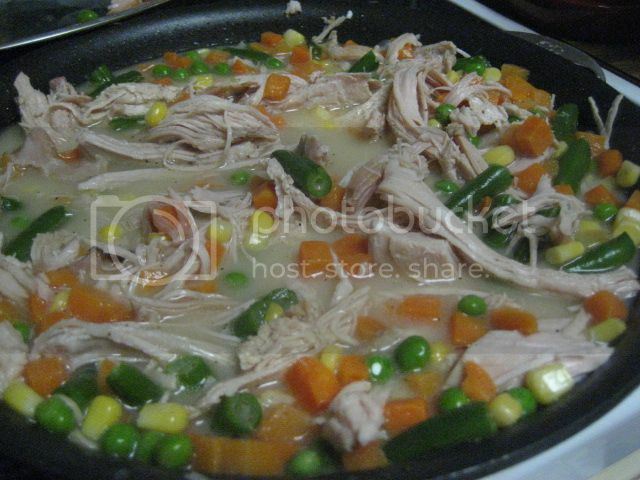 Placed it in a pan with 2 cans of chicken broth. 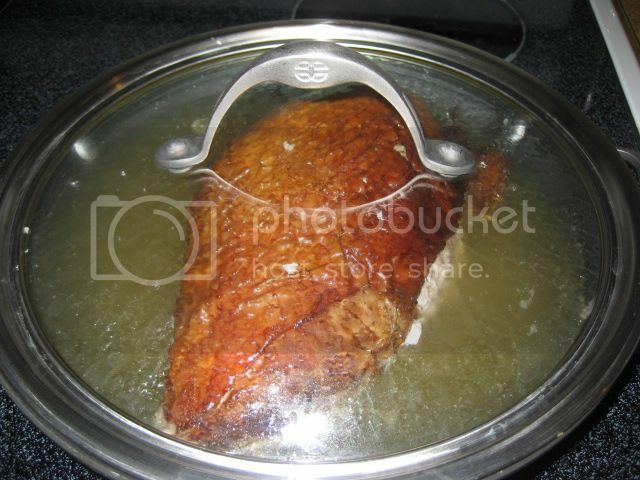 Simmered with the lid on for about 30 minutes. 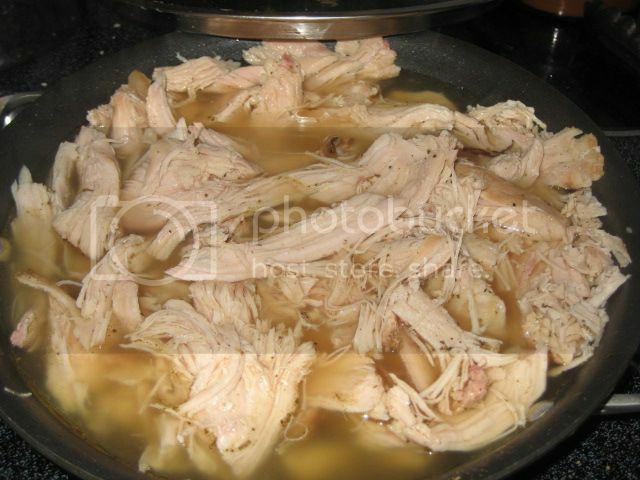 Once the turkey was fall apart tender, I removed and discarded the skin and shredded the turkey and added some ground sage, salt and pepper to taste. 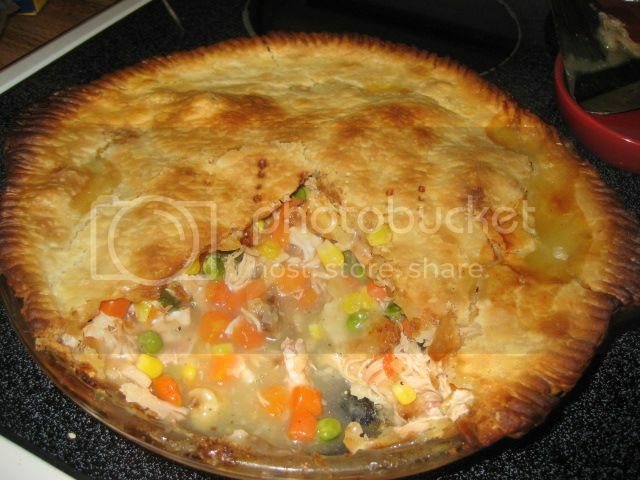 Turned off the heat and added 4 cups of frozen mixed vegetables and 1 TBS of corn starch. 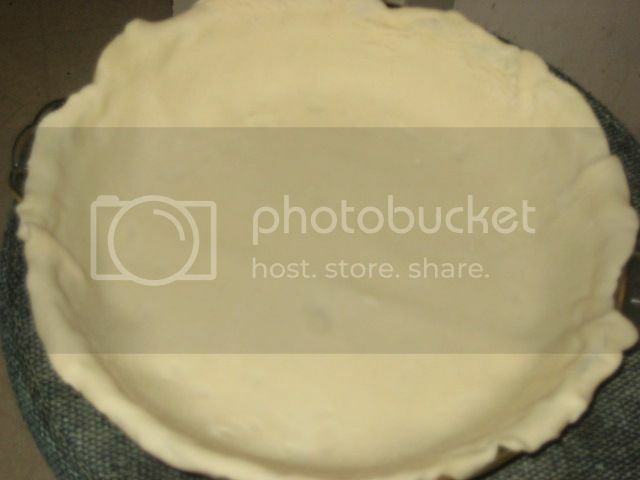 I added the corn starch to the cold mixture because I don't want it to thicken before I put it in the pie shells, I want it to thicken as it cooks in the shells. 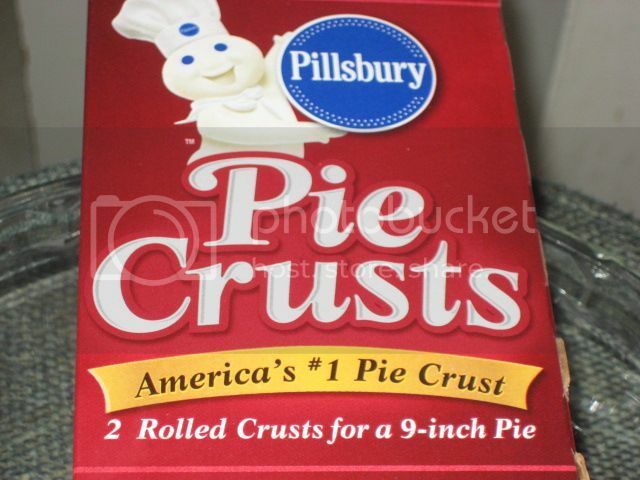 This is what you'll need for the pie crusts. 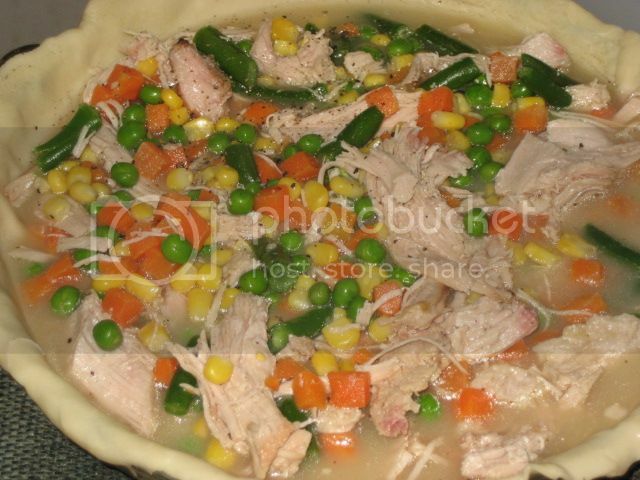 Lay out the bottom crust in a pie dish. 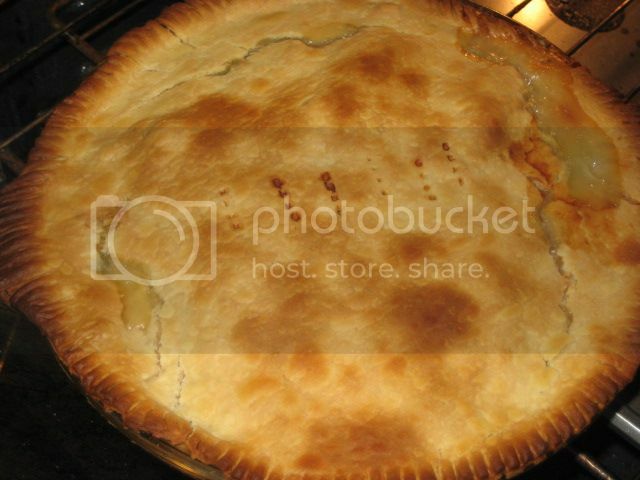 Add semi cooled filling and cover with remaining pie crust and crimp the edges together with a fork and poke a couple holes in the top for venting. I forgot to take a picture of this step. 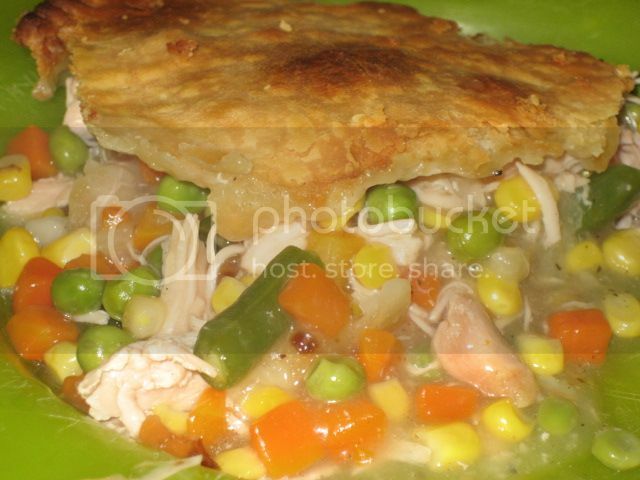 Place in a 450º oven for 30 minutes or until the pot pie is bubbly and the crust is golden. If you don't like the edges as dark you can foil the edges for the first 15 minutes of cooking, then remove.